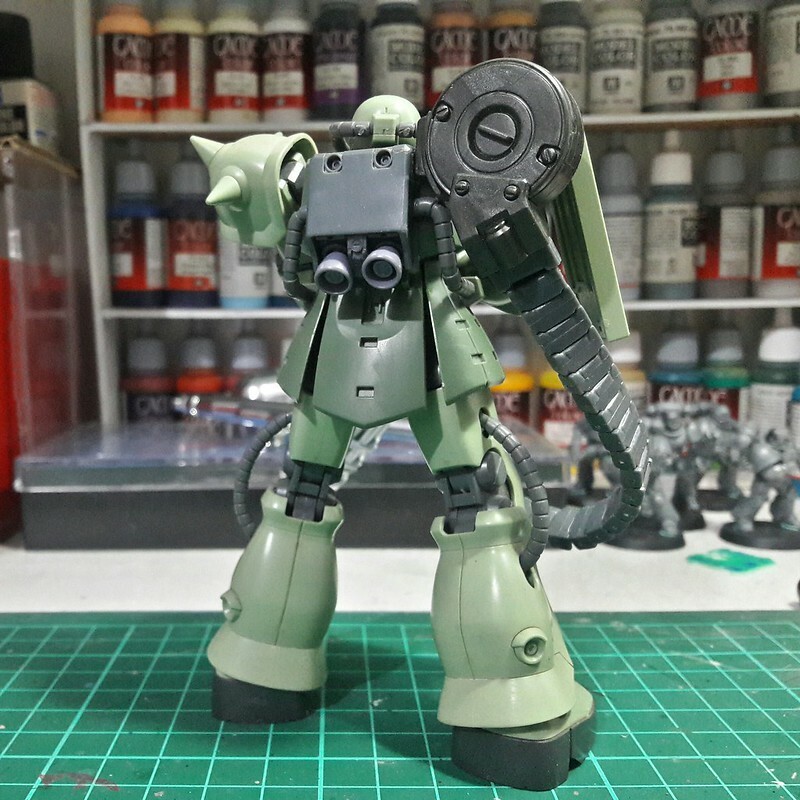 What the hell are you working on? / What the hell are you working on? Just post the damn thing already. Hahaha. Kasama sa WIP yung Milo? 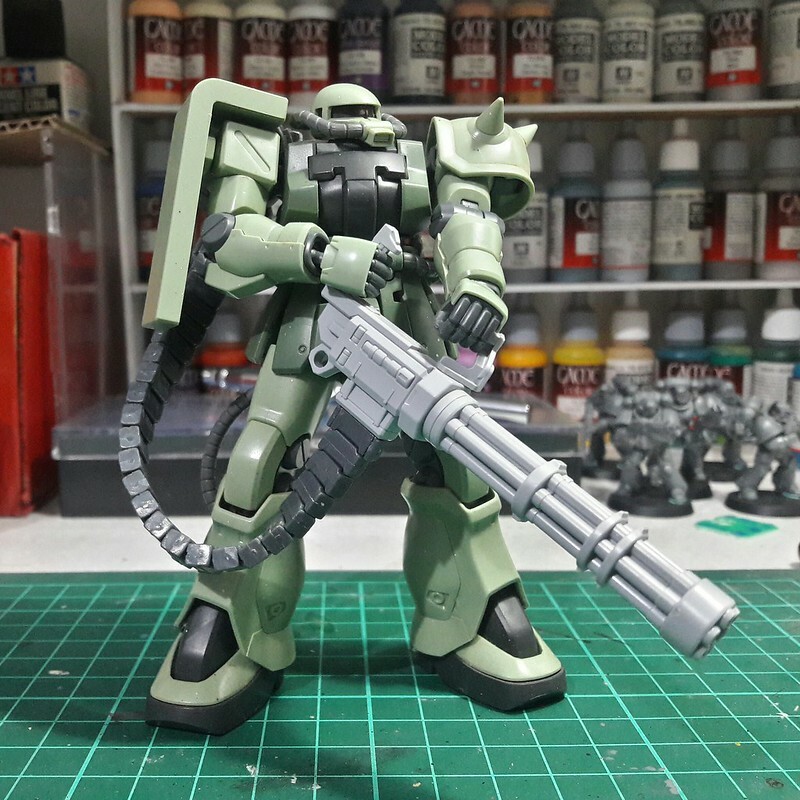 Currently trying to make an old HGUC Zaku II F2 a little bit more interesting. 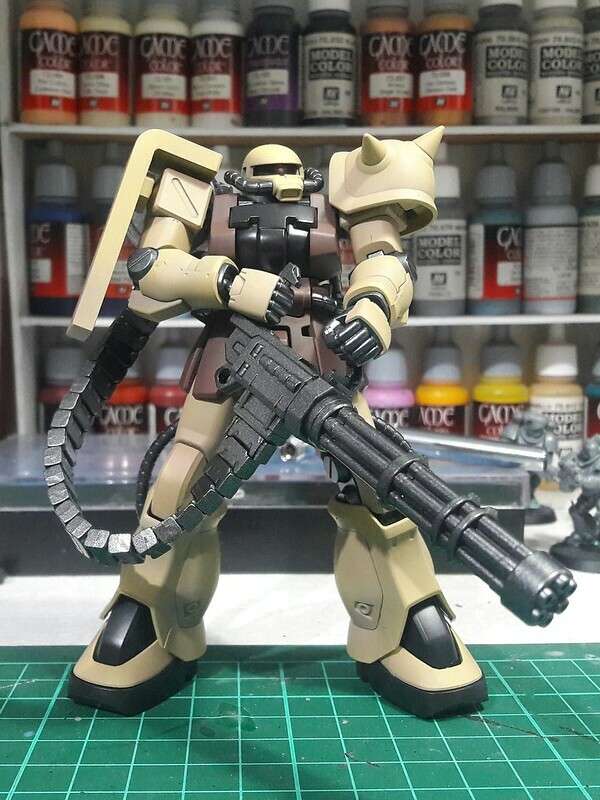 Always wanted to do a desert color scheme on one of these guys. 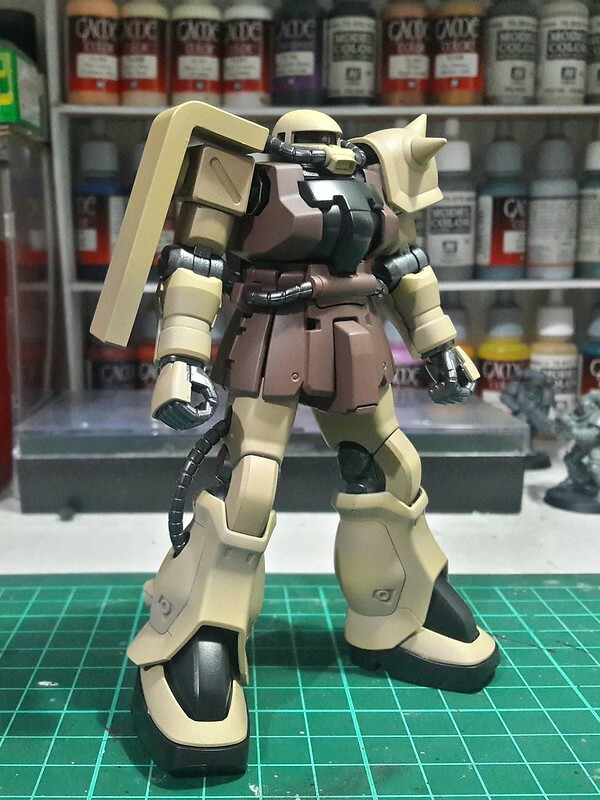 Colors used are parts of Armored Komodo's Basics line. 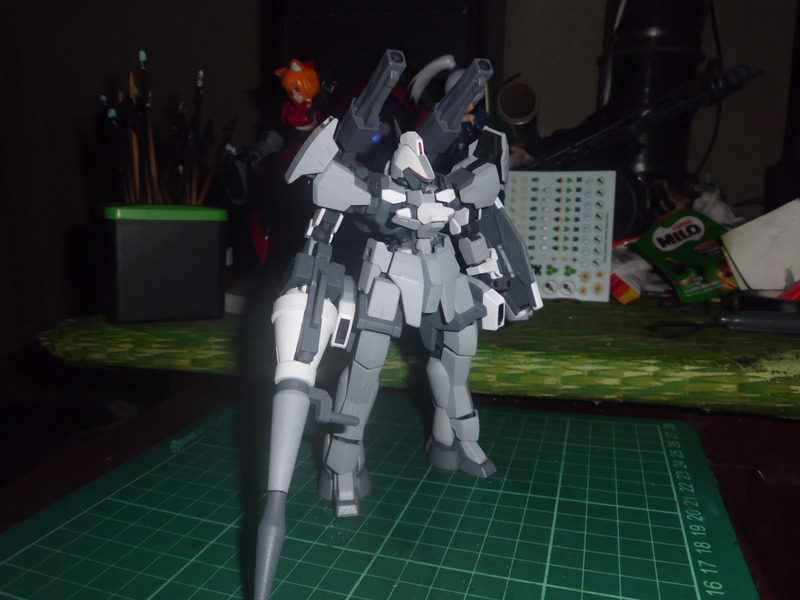 Also scratchbuilt a weapon for it. 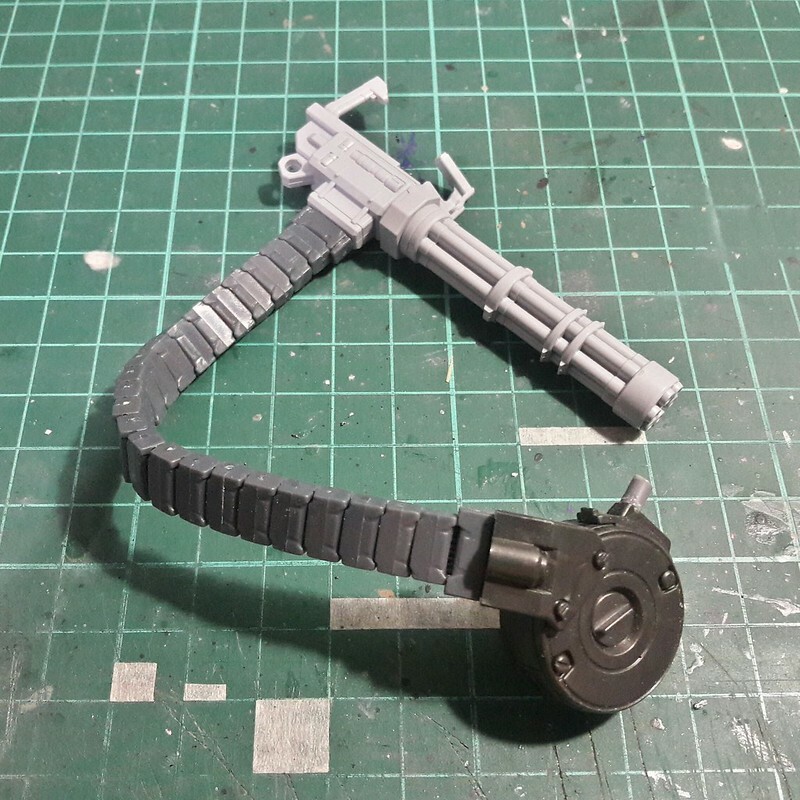 The gatling weapon system is made from the gatling gun from the 2018 Bandai campaign parts options, the ammo belt from an MG Heavy-Arms and an ammo drum from one of the Variable Infinity weapon sets.